Stephen Beaver DO Dip. Paed. Ost. is the principle practitioner and founder of SW19 Osteopaths. A practicing osteopath for 27 years, he is still passionate about learning and developing his osteopathic skills and effectiveness. 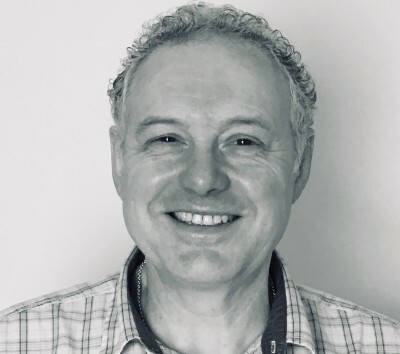 Stephen was one of the first osteopaths in Britain to gain a formal qualification in paediatric osteopathy and taught in this field in the UK and internationally for more than a decade. Currently he devotes his time to everyday patient care in his clinic, helping people resolve their physical issues and pain and developing new skills in specialist areas, such as chronic fatigue syndrome and severe neuro-spinal injury. He has always practiced in Wimbledon and is well known locally with word of mouth referrals bringing people to see him. He has treated and cared for four generations of some families. Osteopathy was a second career for Stephen after he was treated for a back injury; prior to this he worked as a Luthier and woodcarver and he believes that craftsmanship, science and a little inspiration all combine to make the osteopathic art.